You have a very demanding boss, who makes you work long hours a day, your day to day routine is overwhelming enough to be having a plumbing emergency add to your busy schedule, that can be a really frustrating situation, since a plumbing emergency usually happens at the most inconvenient of times. Any plumbing issue can actually become an emergency especially if the problem should occur at a time when it’s really important that you make use of the appliance, or plumbing fixtures. A water leak or a broken pipe: a busted pipe is a typical example of a plumbing emergency that if not taken care of immediately your house may begin to feel like the Mississippi. although this rarely happens, but the circumstances that cause such disasters, happens quite regularly, like the roots of a tree merging to the insides of a pipe until the pipe begins to crack, and finally breaks, and clogs inside of the pipe, that mount pressure on the walls of a pipe and causes the pipe to break. 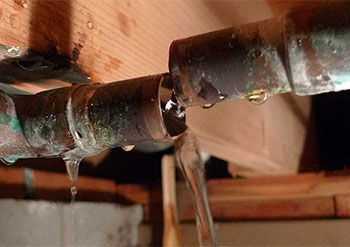 When a broken pipe occurs the only solution will be to have a professional fix the problem. Gas Leak: gas leaks are one of the most dangerous emergencies that any home owner could face. When the air smells like rotten eggs, it is very important that you do not ignore the gravity of the problem, since the smell of rotten eggs serves as an indicator that there is gas in the house, and it needs to be properly investigated by a professional plumber. Overflowing or clogged toilet: a toilet, is one of the most important appliance in a house, and its actually the last thing you expect to give you trouble at home, but it usually does. Due to clogged pipes, your toilet may begin to flow overflow, leak, or may not flush properly, then you know you have a problem, and should give us a call. Blocked Drains: when your kitchen sinks, and bathroom drains don't run properly anymore, that's usually very annoying, and if not handled properly, you might find your house flooded with waste water one of this days, and then you really would be having a disaster. So whenever a plumbing emergency should occur, do not hesitate to give us a call, because we are always ready and willing to come to the rescue at any time.